The Land Rover Range Rover is commonly misconceived as a status symbol and those that can look past this notion will reap the benefits of the SUV's many capabilities. Aside from garnering handsome looks and one of the best interiors found in an SUV, the Range Rover delivers unparalleled off-road ability thanks to its sophisticated all-wheel-drive system and potent V8 engine choices. Great comfort and the best car. Big car with great comfort for a family that travel a lot with car. Large space for luggage. Safe to drive. Easy to drive and have a over the driveway and other cars on the road. Have had none bigger problems with it so far but if it needs repair it is expensive. Luxury Sport Lifestyle in Comfort and at Great Prices. I love my car. It is very spacious and have ample space. I enjoy going on long car trips. My car has a very long range and cargo area to match. Camping is a great activity in this large SUV. It really feels good to ride in. More comfortable than my spouses Mercedes. I love it! Uses a lot more gas than my old Toyota, and it costs more to maintain. 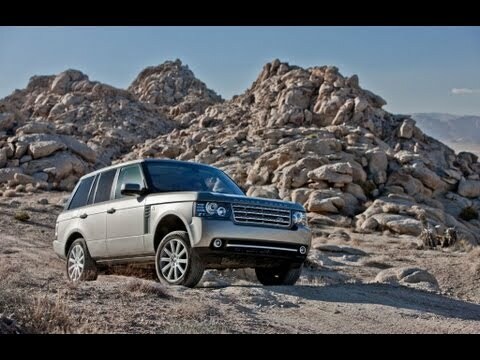 Land Rover is recalling certain model year 2012 Range Rover vehicles. During the manufacturing process, the windshields on these vehicles may have been installed incorrectly. In the event of a crash, the windshield may come loose from the vehicle, increasing the risk of injury to the vehicle's occupants. Land Rover will notify owners, and dealers will replace the windshields. The recall is expected to begin on, or before, November 5, 2012. Owners may contact Land Rover at 1-800-637-6837.